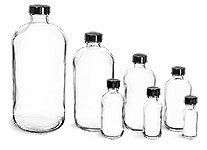 These clear heavy wall jars are available in 2 oz, 4 oz and 8 oz sizes with black polypropylene smooth caps with PS22 liners. The PS22 liners are printed with the text "Sealed For Your Protection." 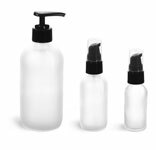 These plastic jars could be used to package a variety of bath and body care products such as bath salts, creams, scrubs and more!